Oh boy, do we have a treat for y'all today! We were interviewed for a podcast. We'll let that sink in just a bit. A podcast!!!! It was so much fun and we loved meeting some new friends and couldn't wait to introduce them to you. 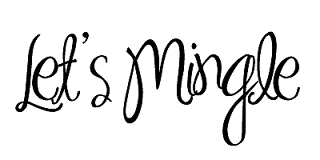 It's been a while since we've had a Mix & Mingle here on the blog and felt like one was way overdue! 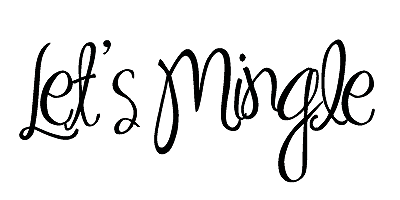 Mix & Mingle is all about giving you a sneak peek at some of our favorite boutiques, restaurants, brands and businesses, but with a twist! Who better to learn all of the details than with the owners themselves! Today we are introducing y'all to the lovely ladies that created and host the podcast, Say It Southern! 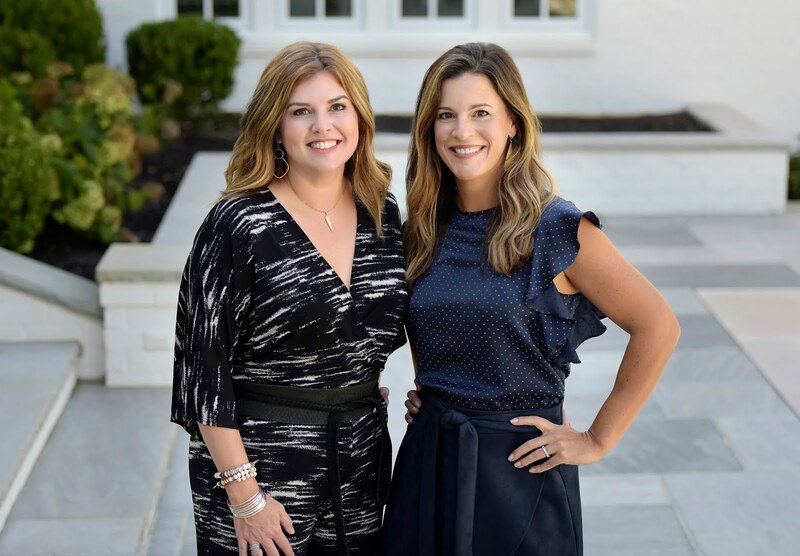 Courtney and Sarah are two modern moms bringing us the hearts and stories of the people creating the best of the south. Say It Southern is a place to join real, warm conversation as if you were sitting beside them on the back porch. They explore the intersection of womanhood, work and creativity with honesty and grace. They want their listeners to feel inspired, encouraged, and educated by their guests living and celebrating the South! First up we wanted to get to know Sarah and Courtney a bit more! What inspired you to start "Say It Southern"? I am turning 40 this year and as a mom to three girls I have given so much of myself to being just that. I felt it was time for me to do something I am passionate about. I want my girls to see me following a dream, setting goals & working hard to make the dream a reality. I have always believed you can do ANYTHING if you work hard. I love talk radio & once I discovered podcasts I knew this was it!! 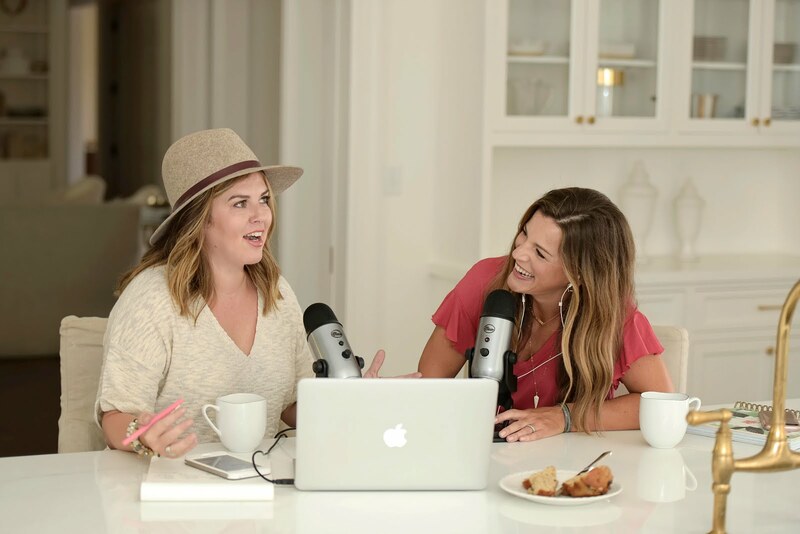 I love all things Southern and believe a podcast is the best way to share the stories, places, food and people of the South. What is the most interesting thing you've learned about creating a podcast? Or the whole world of podcasts now that you've got both feet in? I was worried about finding content for the show since we want to keep it southern, however, once we started I have quickly learned that the guests are endless!! There are so many people from all over the South doing amazing things. I also feel like the region has become much smaller. Our guests have become our friends, creating a community of Southerners that support each other. Who would be your dream guest? The one person (or group) you would love to interview? Sarah Blakey, the founder of Spanx. 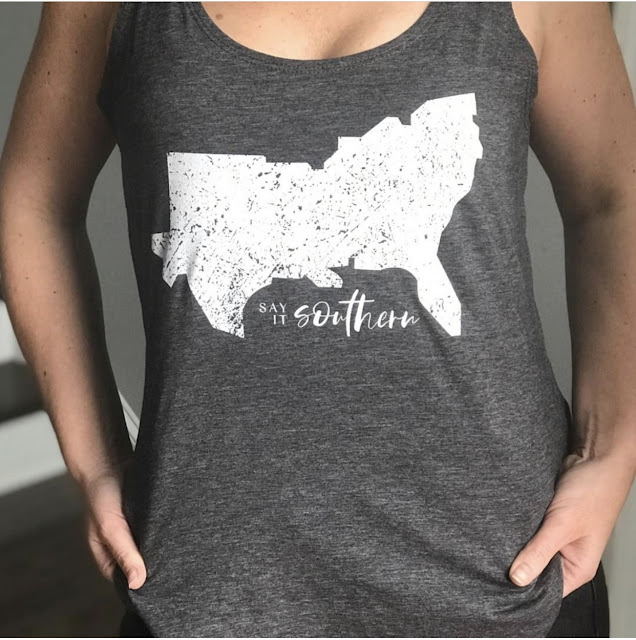 Favorite place to vacation in the South? This is SO tough….I grew up going to Wrightsville Beach, NC and this is still my favorite beach. I love everything about New Orleans. The food, the music, architecture, shopping & history are just a few of things I find to be good for your soul. You're only allowed to wear one article of clothing for the rest of your life, what would it be? What is the funniest or most embarrassing thing that's happened to you as a mom so far? I was on an airplane for the first time with my first born. She was about six months old so riding in my lap. I knew she had a wet diaper because I kept feeling the warmth but also knew I had on the deluxe diapers because this was my first born and only the best will do…right?? Well, once it was time to get off the plane I quickly realized that this super diaper was NOT leak proof…..and worst of all….it looked like I had peed in my pants because she leaked all over my lap…I was mortified. I love finding the guests and creating the content. Its crazy how organic the guests and the growth has been. Every person that we have reached out to to be involved has said yes. And how amazing it to to find these curators of the Modern Southern Culture and let them tell their story? Honestly we could do a podcast daily on the cool people that we have found out about through this process of guest selection. we have a BIG list of fabulous people coming up!!! Reese. She's kind of the poster child for modern southern women, right? Author, Actress, Activist, Entrepreneur and Mom..... yep, that about covers it! There are so many great places! We love Charleston for the architecture, charm and food.... but my boys love fishing and crab hunting on the beaches of 30A. Graham had character day at his school and we got busy making his costume. (Granted it was out of Dad's old t-shirt and a belt I had from the 80's but nonetheless..) He was so proud when the day finally came to wear the costume. We got up extra early to make sure every detail was just perfect. We rolled though that carpool line and I sent him into Kindergarten, my head held high. Around 10:00 AM I got a text from his teacher that said, "Graham looks precious and his costume is fabulous. Can you make sure he wears it again next Wednesday for Character Day?" Y'allllllllllllllll!!!!!!!!!!!!!! Aren't they the cutest? When they reached out to ask if we would be interested in being a part of their podcast we said YES!!! We chatted with them for what only felt like a minute and before we knew it we were all laughing together like old friends. They are the sweetest and so funny! Plus, we love supporting other women trying to hustle and be great moms, so we felt like it was a perfect fit! 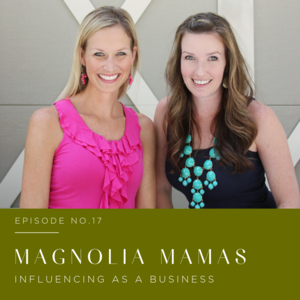 We were able to chat about all sorts of things including our hobby blog turned influencer business, motherhood, and how we juggle it all. We are episode #17! We've had fun listening to some of their other episodes and have learned a lot and laughed a bunch! They have Say It Southern tank tops that are so cute! You can DM them on Instagram to purchase for only $25. We would definitely recommend checking them out on Instagram. Their stories are hilarious and here's a little something we learned...Sarah was the winner of The Bachelor. She shares some fun behind the scenes info that we loved learning during the last season and Courtney keeps us laughing. These ladies are both the real deal, down to earth and we just wished they lived next door to us because we know we'd all be the best of friends!